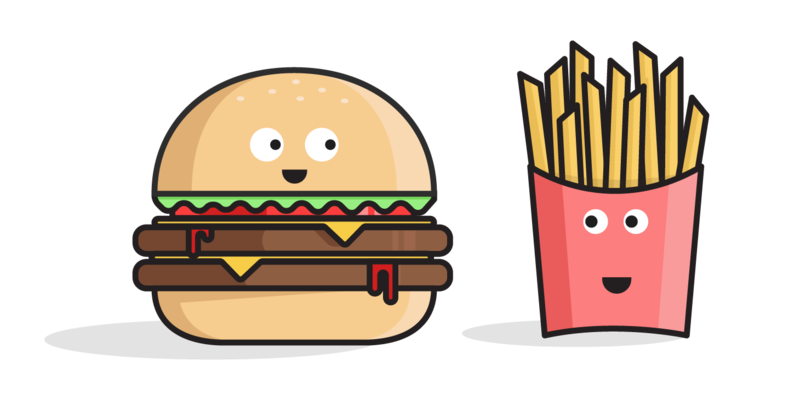 Insightly vs. Zoho: Which CRM is Best for SMBs? Insightly vs. Zoho: Which CRM is Best for Your Small Business? Derived from database marketing, customer relationship management (CRM) software was originally an expensive luxury for large corporations. But times change, and segments of the CRM market have evolved to meet the needs of small businesses. The problem, then, is how to choose the right product for your company. Zoho and Insightly are two of the most popular solutions for the SMB market, and if you’re reading this article, it’s safe to assume you’re comparing the two. Insightly vs. Zoho makes for an interesting matchup. 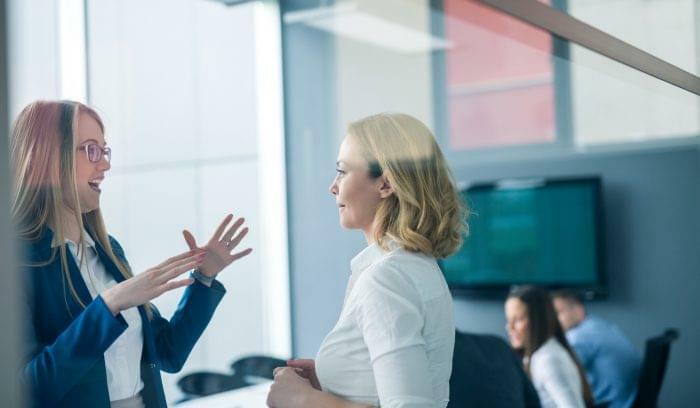 Both sell their products in subscription tiers with affordable rates while offering an impressive amount of contact management, workflow automation, and reporting capabilities. To help you make a more informed decision, this post will compare the two CRMs based on systems and pricing, features, mobile capabilities, and integrations. Insightly and Zoho employ the standard software-as-a-service (SaaS) model and offer three subscriptions tiers that are priced on a per user, per month basis. Zoho’s tiers are divided into Standard, Professional, and Enterprise. Standard includes access to sales forecasting, reports and dashboards, a document library, email marketing, and a 100,000 record limit. Professional offers Adwords integration, workflow automation, inventory management, social features, and unlimited records. 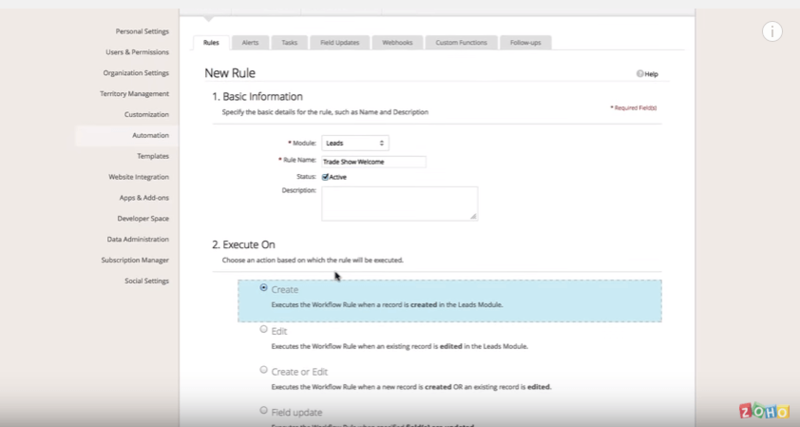 Enterprise adds territory management, custom module creation, multiple currency conversion, time-based automation, and even custom applications. Insightly offers four subscription types: Basic, Plus, Professional, and Enterprise. Basic gets you access to 50 email templates, a 500 mass email send limit per day, 50 custom fields, a 25,000 record limit, a 5,0000-row lead import, and email support. Plus includes all of the features of the Basic package and adds priority email support, because that’s how capitalism works. Professional and Enterprise both increase the number of templates, mass emails, custom fields, space for storing records and files, custom fields, and rows for the lead importer. Both companies also offer free versions of their software, albeit with limited functionality. In the beginning, every CRM was designed, more or less, to do one thing: manage contacts. 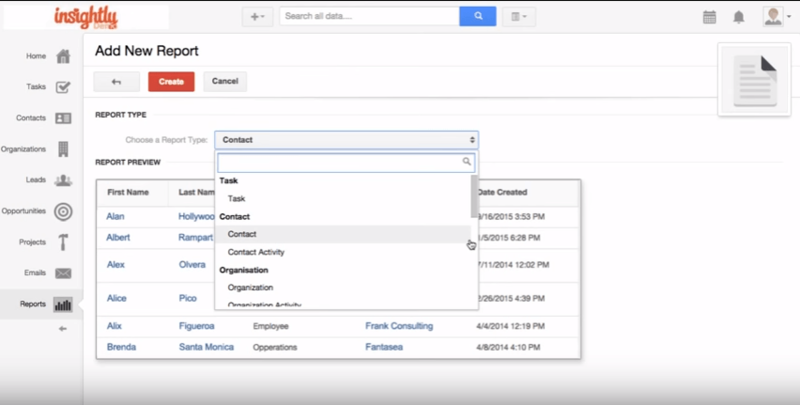 As you would expect, Zoho and Insightly both provide ample contact management functionality. Both platforms let you to import leads and create custom fields to match the structure you’ve been using in another platform. Further, each platform features the now common hierarchy of leads, opportunities, contacts, and accounts (or “organizations” in Insightly). On the page for each record, users can track the emails and attachments they’ve sent to a contact as well as calls they’ve made, assign follow-up tasks, record notes, and change the contact’s sales stage. Though the basic contact management functionality is similar, there are some differences between the two platforms. 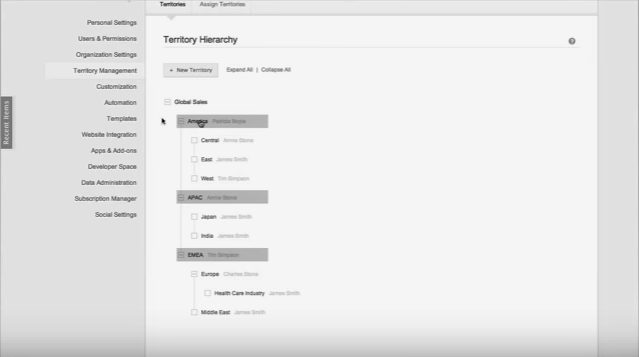 Zoho has a territory management feature that assigns leads and contacts to different sales teams based on geographical location, product line, and industry. To provide another level of organization, a territory manager can be assigned to act as an admin for the accounts under them. Insightly uses tags to offer another method for directing contacts once they’re inside the system. Custom tags can be created to represent geographical region, product line, and other important information. 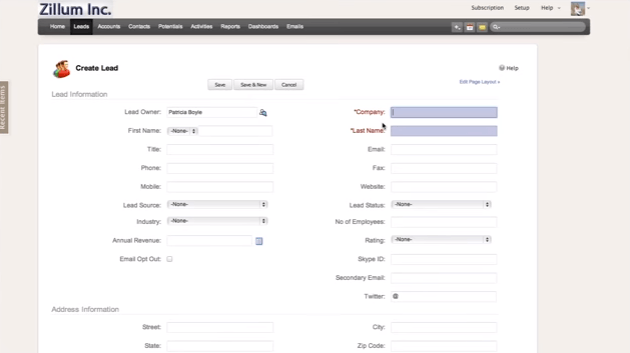 Both systems also include web-to-lead forms that you can embed on your website. When someone fills out a form, their information will automatically be added to the CRM database. To help salespeople develop a better cadence of when to follow up, many CRMs now offer a task management feature. Instead of guessing when it’s best to call a certain person, users can set a reminder to follow up after a certain period of time. Zoho and Insightly each provide some form of task management, though this is one area where Insightly has a definite advantage. Insightly uses a horizontal pipeline to visualize sales stages instead of the traditional vertical funnel. This is great for lead management, but the value of pipelines extends beyond sales stages and into full-blown project management. Pipeline stages can be customized to represent different project stages, so you can manage sales opportunities as “projects” from end-to-end. 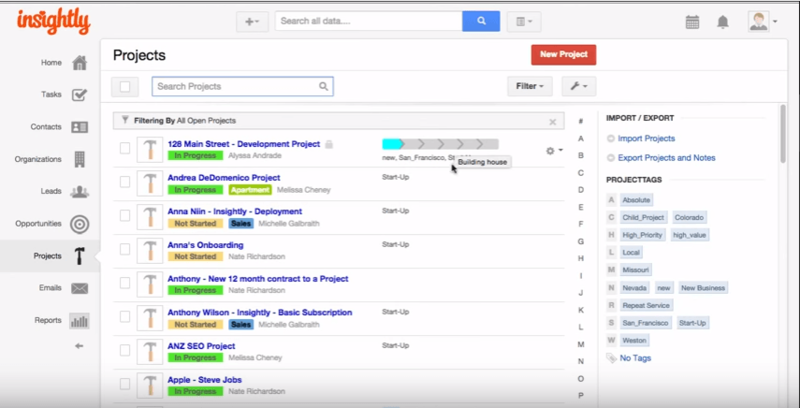 Projects can be sorted by stage or assigned user. 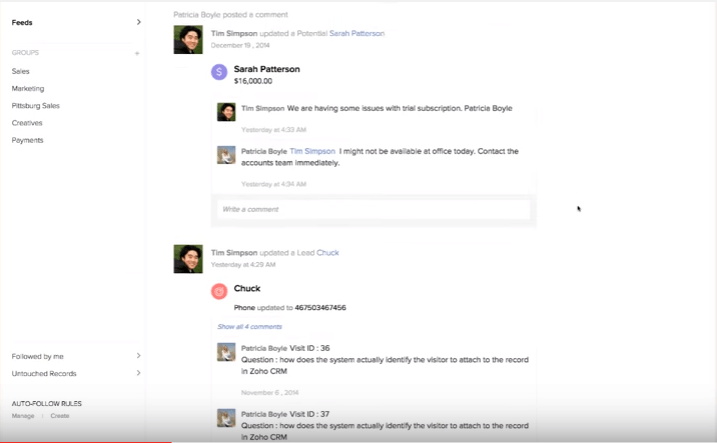 Zoho also has task management capabilities, but they use a feed view that mimics a social media layout. All of the tasks assigned to a user at a record level are displayed in a vertical list, and users can navigate to records directly from this view. Zoho does offer a more comprehensive task management system in Zoho Projects, which is available as an add-on. 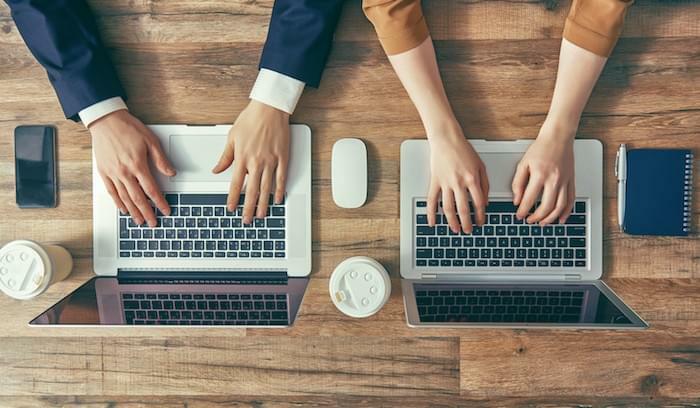 Neither of these CRMs offers comprehensive email marketing capabilities, but they both allow users to create email templates, send them out to an entire list, and track the analytics associated with each. 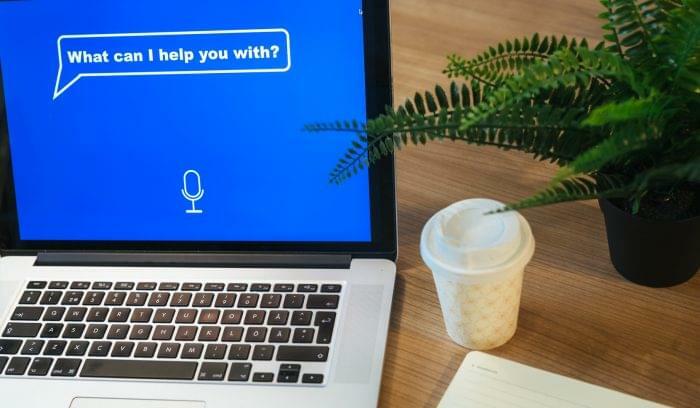 If you want to connect your CRM to a full-blown email marketing solution, each system has a different solution. Insightly integrates with Mailchimp, and Zoho connects with Zoho Campaigns — the company’s email marketing tool. 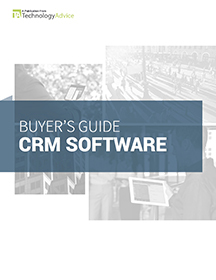 Getting salespeople to consistently use a CRM has long been a major roadblock to achieving ROI. That reticence stems from the amount of manual work that older-generation CRMs required. 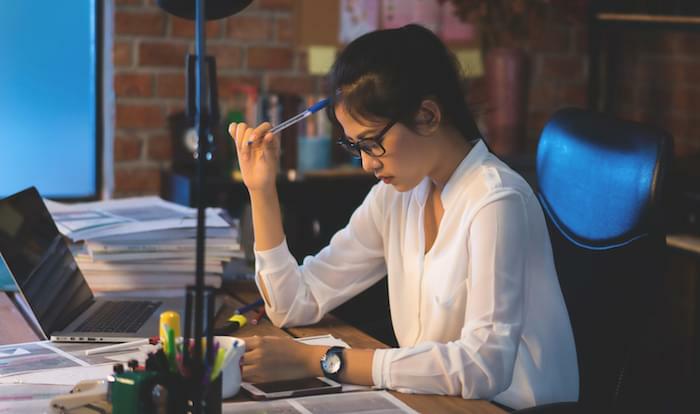 The software vendors that were smart enough to respond to this opportunity equipped their CRMs with automation features that reduce laborious data entry. Zoho and Insightly provide sales automation functionality that utilizes “if-then” logic to build self-activating functions within each system. 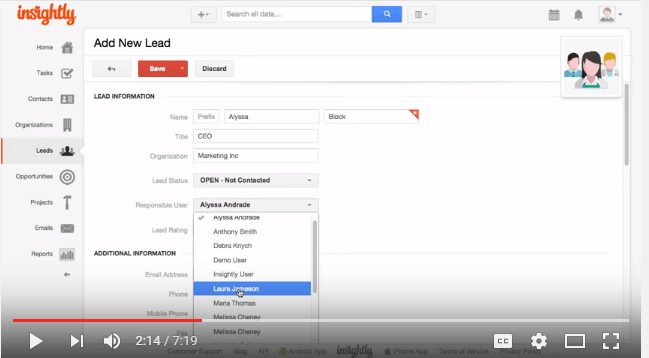 For example, when you load a new batch of leads, you can build a sales automation rule that sets a reminder to call each lead a week from their creation date. 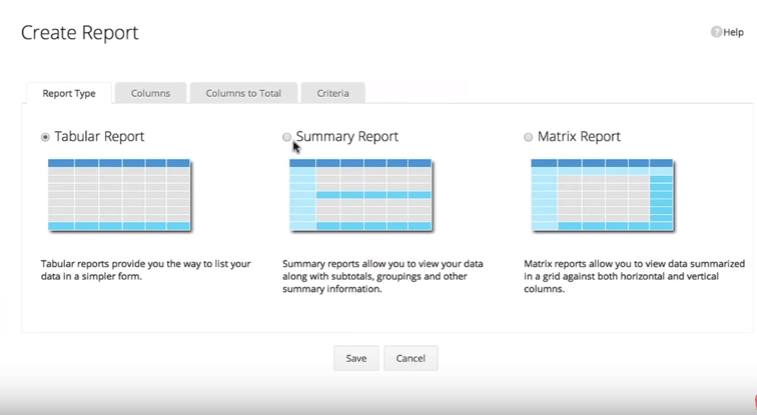 Zoho provides three main types of reports: time-based reports, people-based reports, and revenue-based reports. These categories don’t refer to the taxonomy used to classify reports in Zoho, but rather describe the three broad types of reports you’ll find in the system. Zoho comes with over 40 pre-built reports, and the system also lets you build custom versions if you need a very specific view. Insightly organizes their reports into categories like organization and contact and offers pre-constructed reports for each record type using a similar three-pronged approach: milestones, activity, and records. Insightly’s total number of pre-built reports doesn’t quite match what Zoho offers, but you can also build custom reports in Insightly with slick drag-and-drop functionality. Both vendors offer native Android and iOS apps. Insightly’s app lets you view and convert records, create tasks, and call, email, or text any record in their database. There’s also a map feature that makes it easy to get to your next sales call. Zoho’s mobile app offers a similar array of features: calling directly from the app and geolocation for finding a prospect’s office. 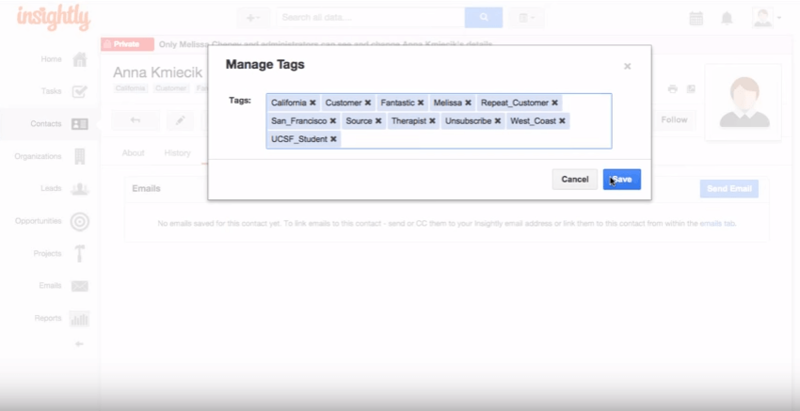 Zoho’s app works offline, so even if you lose your signal, you can still edit contact information inside your CRM. The app will sync the changes once you’ve recovered internet access. In terms of integrations, both products, again, offer a similar set of options. Insightly integrates with over 30 apps, like Dropbox, Outlook, and Google Apps (full list here). Zoho integrates with Mailchimp, Unbounce, Evernote, and others (full list here). If you want to sync either CRM with an app not listed in their native integration list, there’s always Zapier. Zoho’s base CRM can be combined with any of the other apps in its “online office suite,” including Zoho Projects, Zoho Invoice, Zoho Support, Zoho Books and others. That means you can customize and grow Zoho as your needs change, which may make Zoho more appealing for a fast-growing or mid-sized company. Insightly vs. Zoho is a close contest. Both systems can be purchased at similar price points, and their core contact management/sales automation capabilities are very similar. Insightly’s project management feature, however, is a clear advantage, while Zoho’s scalability with territory management and add-on modules gives it an edge. Still can’t decide? Use our Product Selection Tool to compare Zoho, Insightly, and other CRM platforms, or schedule a free call with one of our product experts for in-depth guidance. Learn more about the benefits of CRM with our market-leading research. Compare the best CRM software. Where should we send your CRM recommendations?